Chloë Cheuk is a media artist based in Hong Kong. She received a BA (Hons) in Creative Media from School of Creative Media, City University of Hong Kong in 2012. 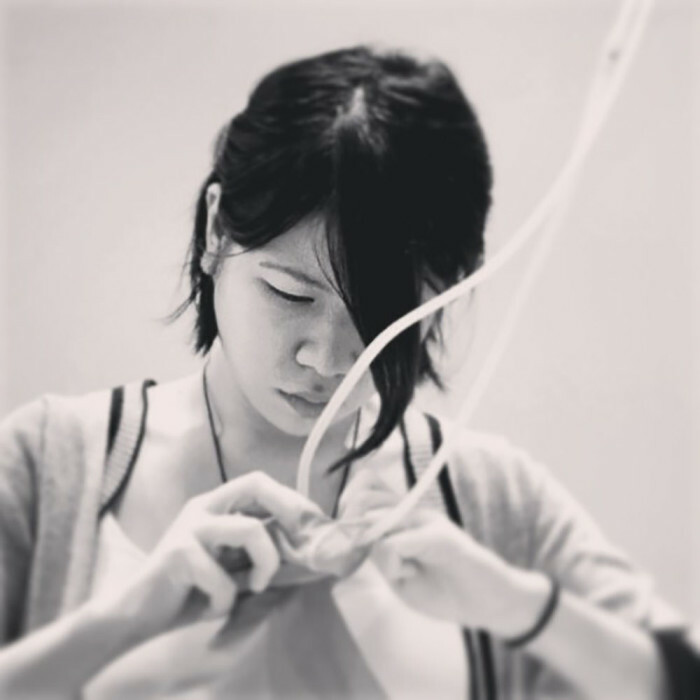 In 2014, her work has been selected to participate in 20th International Symposium on Electronic Arts (ISEA) in Dubai and she received Special Mention Award (Interactive Media Category) at the 19th Hong Kong Independent Short Film and Video Awards (ifva). She works simultaneously in installation, interactive media, photography and video. She focuses on the emotional connection with mechanical devices, exploring ordinary daily objects and their encounter to bring about dialogue and multiple implications. Sensibility and materiality of objects are realized in her works. Recently, she is exploring the possibilities of creating a context between objects and sound. The residency is made possible as a cooperation with the Artist Support Programme by soundpocket. soundpocket began offering direct support to Hong Kong-based artists and their projects in 2010, providing a lump sum to supported artists as monthly stipends. There is no requirement that the artist presents any project or exhibition, or contribute to any programmes at soundpocket. The Programme has previously supported Edwin Lo, Chung-sing Tse, Sin-yu Tsang, Nicole Wong and Jacklam Ho. In 2015, the Programme selected Chloë Cheuk and Samson Cheung. An overseas residency is part of this Programme and soundpocket is cooperating the residency with Connecting Spaces Hong Kong Zurich, Zurich University of the Arts, and the Experimental Sound Studio, Chicago.